*Turfology, a definition. The suffix 'ology' describes a field of study or expertise. Here it means the understanding of turf maintenance. The perfect embodiment of this section which brings together all our knowledge from published articles on maintaining turf and landscapes. How will the SUD's New Legislation Changes Affect Greenkeepers? Don't Be Caught Out in the Cold This Winter! Coming into effect on 26th November 2016, the SUD requires that all active pesticide application equipment has an NSTS Certificate. Here in the northern hemisphere winter means machinery maintenance. With less mowing the workshop will now be busier with annual servicing and checks to make sure each and every machine is running to the best of its ability. Even more so for machinery needed in the field during the harder, harsher mowing conditions that winter brings. Aeration is an essential part of turf maintenance for most greenkeepers and groundsmen. It is widely recognised as the most important task implemented on fine turf and there are few single procedures than can produce as many benefits for the grass. However, there can be widely differing views about what’s best practice and the most effective techniques to employ. Bringing the benefit of that content to the readers of Pitchcare, Rob shares his top tips to enable course managers to more confidently manage their irrigation systems and develop a degree of self-sufficiency. 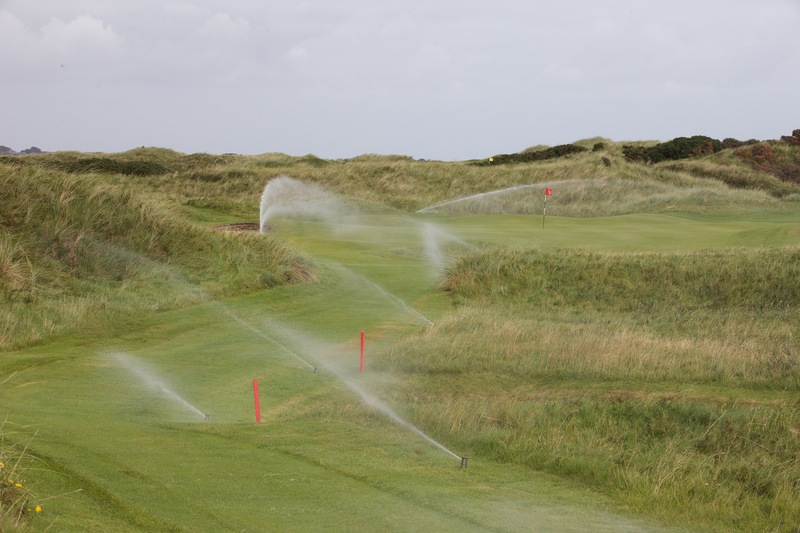 As the first distributor in the UK to offer customers fixed term finance on its irrigation products, here we talk to Robert Jackson, irrigation field sales manager for Reesink, who says it was about time the same rules applied to one of the biggest assets a club can own. The type of upgrade and the equipment installed all impact on what can be achieved and how much it will cost. A well-designed ‘modern’ system installed to a good standard should be ‘upgradeable’ and the costs need not be prohibitive. The key is to know what you have and not to be afraid to call in help. Plant life changes significantly as well during summer thanks to the warmer temperatures, higher nutrient levels and light associated with it. 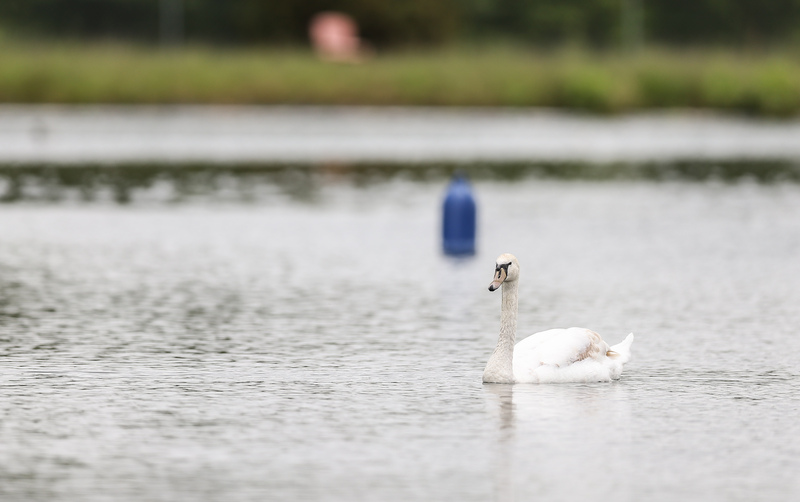 This creates a high demand for oxygen when a pond’s ability to provide it is at its all-time low. Driven in part by growing pressure on turf professionals to deliver consistent playing surfaces throughout ever-extended seasons, irrigation is now recognised for the wider benefits a well-managed system can give to not just the ‘playability’ of the turf, but its overall health and longevity. Here Reesink Turfcare’s irrigation manager, Robert Jackson, outlines the ways in which wastage is controlled throughout the warmer months and beyond. 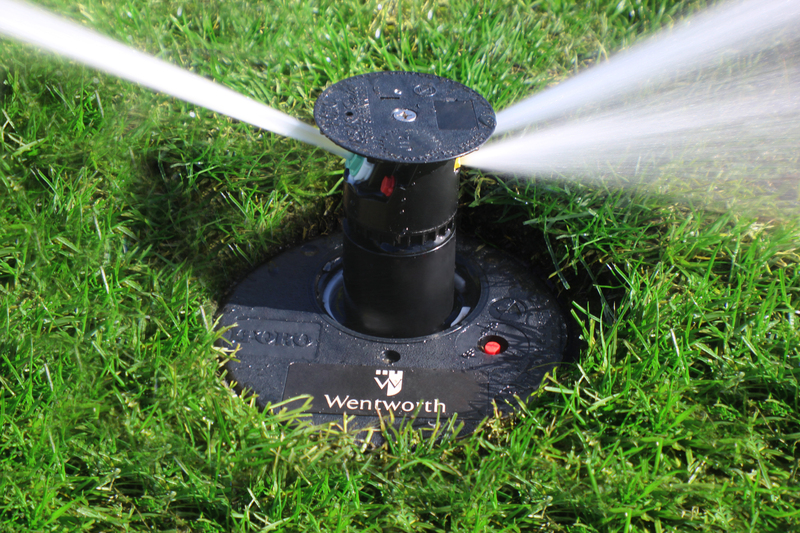 It’s not too late to protect irrigation systems against the cold and frost if you delayed or decided against the winter shutdown procedures in the late autumn. Optimised efficiency in water usage is one of the greatest challenges in the sustainability of sport surfaces. Therefore optimising water consumption by increasing usage efficiency and utilising innovative technologies needs to be high up on greenkeepers and groundsmen agendas, says Toro distributor Reesink Turfcare’s irrigation manager, Robert Jackson. Routine irrigation inspections are as important as any other aspect of professional turf maintenance and allow you to take control of any issues, providing the opportunity to correct them before they turn into bigger, more costly problems. Whatever your sports surface, turf professionals everywhere have water considerations at this time of year and Robert Jackson, irrigation manager at Reesink Turfcare, UK distributor for Toro irrigation, presents a roundup of top tips, as well as guidance on utilising the latest irrigation technology. Consider the negative impact of ingesting polluted water and air. These same principles hold true in the aquatic ecosystem and in managing our golf courses, landscapes and properties. Oddly water is our most important natural resource, but it is far from understood.